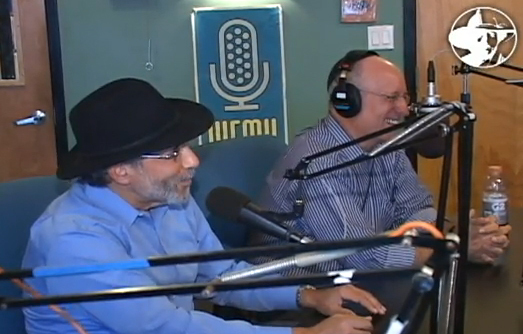 It was an historic morning of Jewish radio when Nachum hosted the legendary Country Yossi and Heshy Walfish live at JM in the AM to celebrate the release of the new Country Yossi and the Shteeble Hoppers CD, “Ride Again.” They played the new songs and had a hilarious conversation covering everything from the best cholent in New York to the hazards of riding a horse into the Holland Tunnel. 20 years in the making, this new CD holds a place next to the classic Country Yossi CDs for both its humorous parodies and its poignant original songs. Once again Country presents a wide range of topics facing the Jewish people in his own inimitable style. Enjoy part 1 of this momentous event. Filmed by Yossi Tepper / Video Maven.